Our vision is to be a forward-thinking and leading international school that specializes in producing elite-level graduates who are motivated and ambitious stewards of the future, ready to contribute to a global society in a practical and positive way. 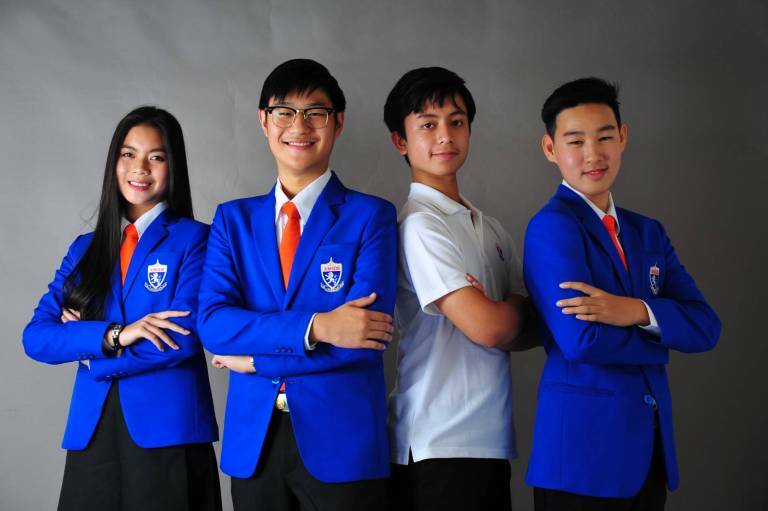 As a recently-established international demonstration school in Bangkok, KMIDS is all-embracing of the challenges that come with developing outstanding learning opportunities for all students. Alongside a diverse and experienced academic team, our unique curriculum and extra-curricular activities have been designed to promote a vibrant, dynamic and progressive environment here at KMIDS. “As a new school, we find ourselves in a very unique position. Adopting the ‘STEM with Robotics’ program from Carnegie Mellon Robotics Academy in the U.S. allows students an optimum learning process that has real creative and tangible benefits. Incubate graduates who are, ‘Imaginative, Innovative and Inspired’ – the 3 I’s. Create and develop our challenging educational system. Instill among students moral and ethical practices, self-confidence and respect for oneself and others. Our educational philosophy is geared around our “Discover Life, Discover Future” mission that ultimately reflects our deeply-rooted ethos and values. As a community, KMIDS is passionate about nurturing students who truly understand their prospects as leaders of tomorrow. Our ‘hands-on’ and ‘learning-by-doing’ approach accurately reflects KMIDS’s pedagogy as we continually strive to provide students a platform to share their talents and efforts. Providing a safe and happy environment where students feel comfortable and open in expressing themselves. “Creating an academic home for KMIDS students is our utmost priority. Their safety and well-being is crucial to their personal and academic development and we understand that. We are committed to working collaboratively to ensure students leave KMIDS with the knowledge, skills and enthusiasm to make a difference”.